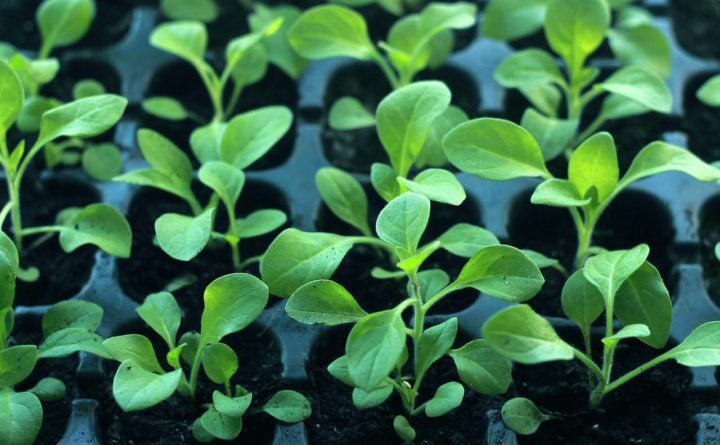 The final months of winter may not seem like a prime gardening season, but it is a great time to get a jump on spring growing by starting seeds indoors. Starting your plants indoors protects tender seedlings from adverse weather conditions, hungry animals and pests. It also gives gardeners a head start, which is especially useful in cold climates with short growing seasons. Garland explained that seedlings sown outdoors are more likely to succumb to insects and pests. Kale, broccoli and cabbage seedlings are particularly vulnerable to flea beetle damage, for example. Long season crops like tomatoes that are started inside will also yield better than those grown directly in the garden. According to Jennifer Moreno, chairman of indoor gardening at the National Garden Clubs, seeds can also be easier and cheaper to get during the winter as catalogs attempt to slough off last year’s stock. “Catalogs might have more things that they offer at better prices,” she said. Moreno also listed cauliflower, peppers, Swiss chard, celery, pumpkins and tender herbs among the plants that could be started indoors; annual flowers, she said, can be started inside as well. Hardier plants like beets, carrots, corn, okra, parsnips and potatoes, Moreno said, are better started outdoors. The last days of winter are a perfect time to start your spring seeds indoors. Generally, Moreno said you want to start the seeds six weeks before the last frost date in your area, but you should follow the instructions on the seed packet if they specify otherwise. In that case, Garland said, you can call your local cooperative extension or check the information provided by the seed catalog. Depending on the plant, the seedlings will either need a tray or separate pots. Crops like pumpkin, cucumber and zucchini may mingle roots if grown together, so they are best started in individual containers. Garland recommends a sheet-style tray for seedlings. Plug trays, Garland said, can be handy for transplanting, but they make watering a little more challenging because the individual compartments prevent seedlings from accessing water resources dispersed across the tray. Regardless of the style of container, drainage is key. “You want to be able to make things drain,” Moreno said. If you are making your own containers from recycled materials like egg cartons, make sure to poke holes in the sides for excess water to drain. “If you want to spend a lot of money, you can also get fancy seedling flats,” she added. Moreno also recommends covering the containers with plastic wrap held up by toothpicks until they sprout for an extra growing boost. “It’s kind of making little mini greenhouse,” she said. You can remove the plastic once sprouting begins. Plant the seeds in a potting mix made for seedlings, which is usually comprised of peat moss mixed with equal parts vermiculite and pearlite. Garland said that while peat moss is a fantastic growing medium for seedlings, there has been more of a push in the gardening community to develop compost-based seedling growing media because of concerns surrounding the sustainable harvesting of peat moss. As always with indoor gardening, light is a key consideration. “If you start in late winter, you have to know that most vegetables need six to eight hours of direct sun,” Moreno said. Otherwise, the seedlings with grow thin, weak and “leggy” stems. A south-facing window is a great spot for growing, but it may not be enough. Garland and Moreno recommend supplemental lighting, ideally a grow light, to shine on the plants for 12 to 14 hours per day. Keep lights close enough to the seedlings that they benefit from the rays, but not so close that they are burned by the bulb. Garland recommends hanging lights on an adjustable chain or propping plants up on a different stand so plants of different height can be on the same light. Proper watering is also important. “A lot of people kill seedlings by overwatering them,” Garland said. Overwatering can result in root rot and a disease called dampen off, where seedlings are girdled at the soil line and flop over. “I try to recommend folks to check on a daily basis whether seedlings need water,” Garland said. “Err on the side of caution. If you are ever in doubt, don’t water.” Moreno recommends using a sprayer, mister or even a meat-basting syringe to gently water seedlings without flooding them. Seedlings also need consistent temperatures. Moreno said between 65 and 75 degrees Fahrenheit is when they sprout the best. A natural heat source underneath the seedling tray can also help keep them warm. According to Garland, plants that are grown indoors need to develop a cuticle layer and strength their tissues before they can be planted outside. Thus, they need to be slowly exposed to the outdoor elements through a process called “hardening off” before they are sown in the ground. “Seven to ten days before you transplant them, put them outside for a few hours each day gradually expose them to wind and sun,” Moreno said.